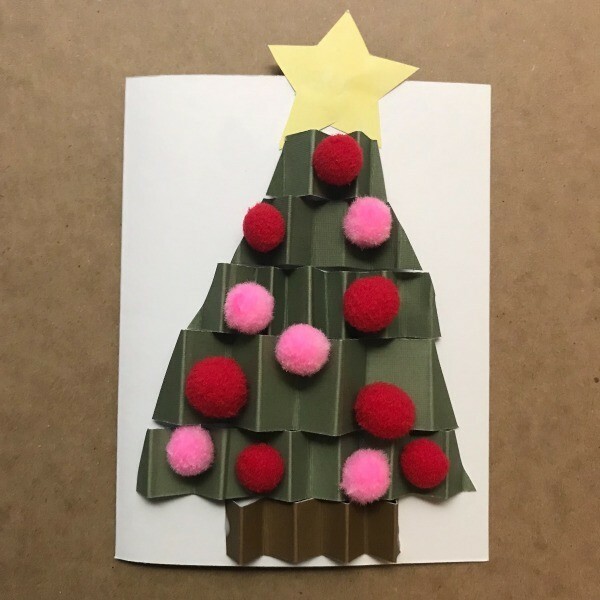 Turn the kids loose with construction paper, glue, and pom poms so that they can make their own version of these cute tree cards for the holidays. 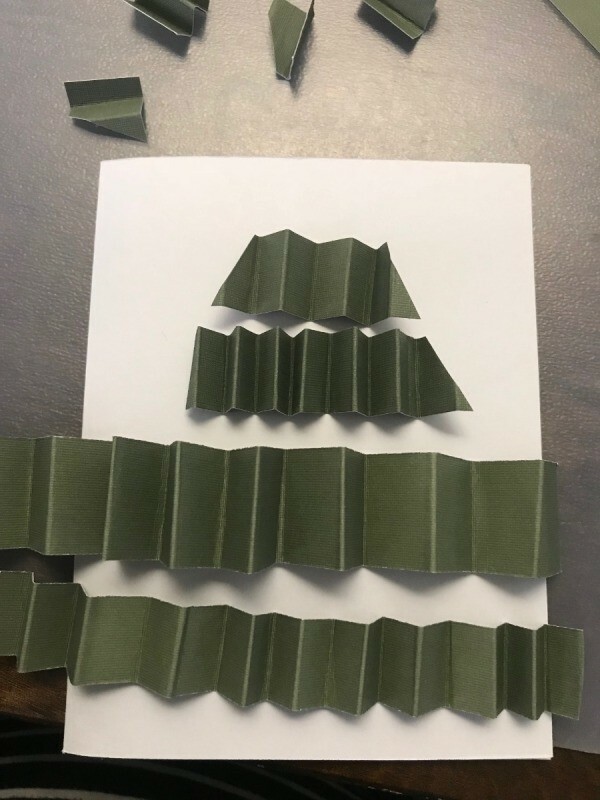 This is a guide about making a folded paper Christmas tree holiday card. 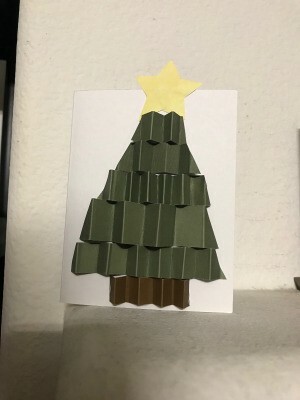 This is a simple Christmas tree holiday card and a perfect project for the kids to make their own version, as well. 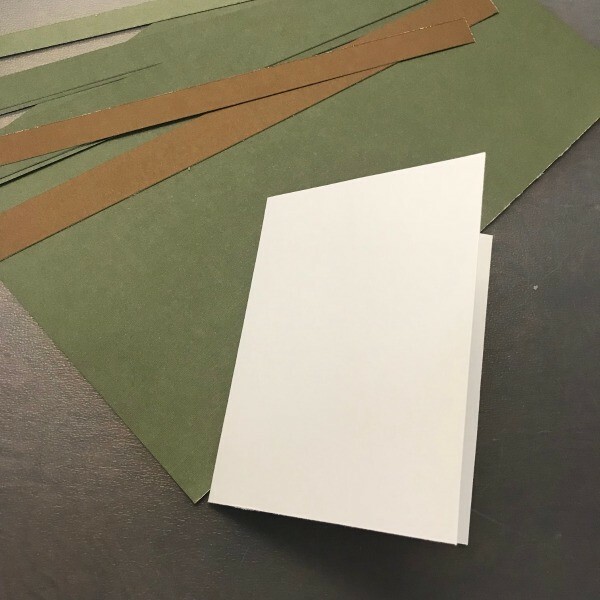 Choose a background paper for your card. I went with a white construction paper and made my card 4" by 6" with the fold across the width of the sheet. 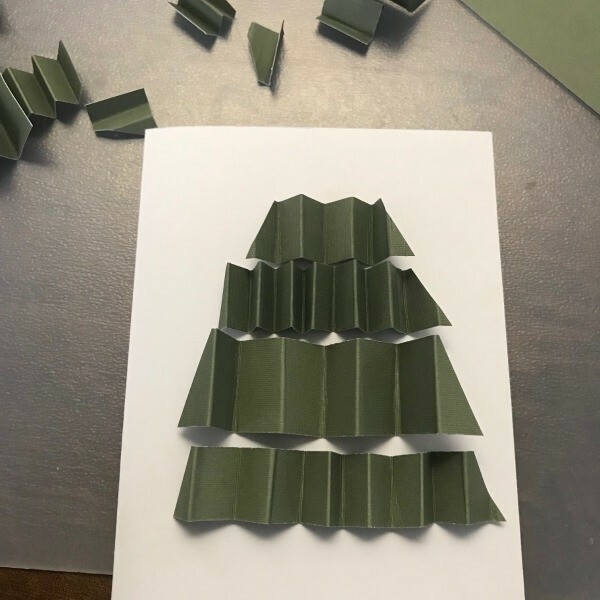 Using green construction paper for the Christmas tree, cut strips in your desired width. 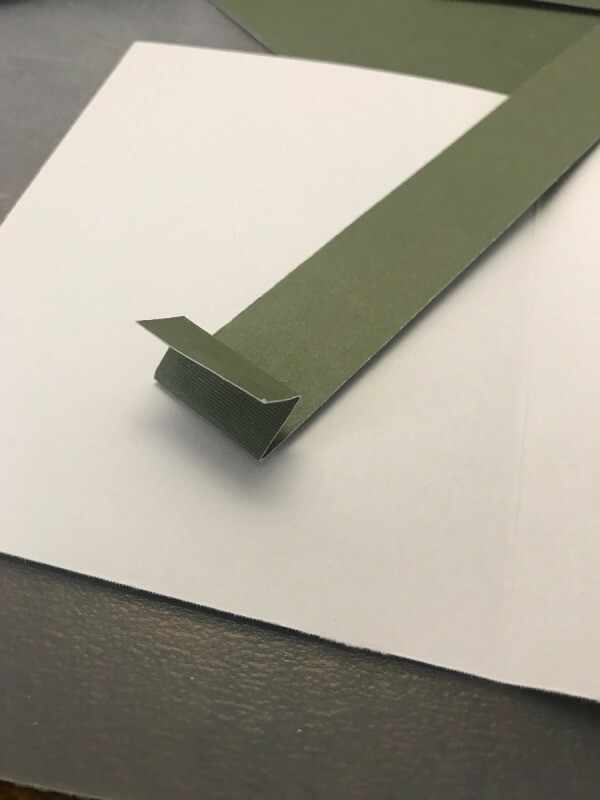 I cut 3/4" and 1" strips. 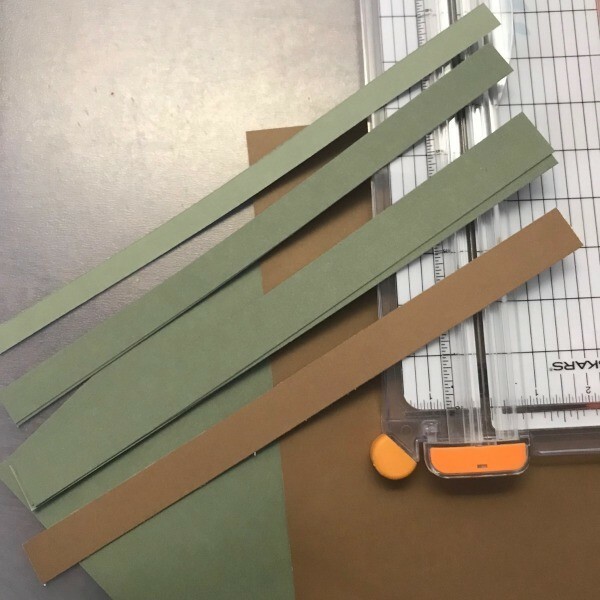 I also cut a 3/4" strip of the brown for the tree trunk. 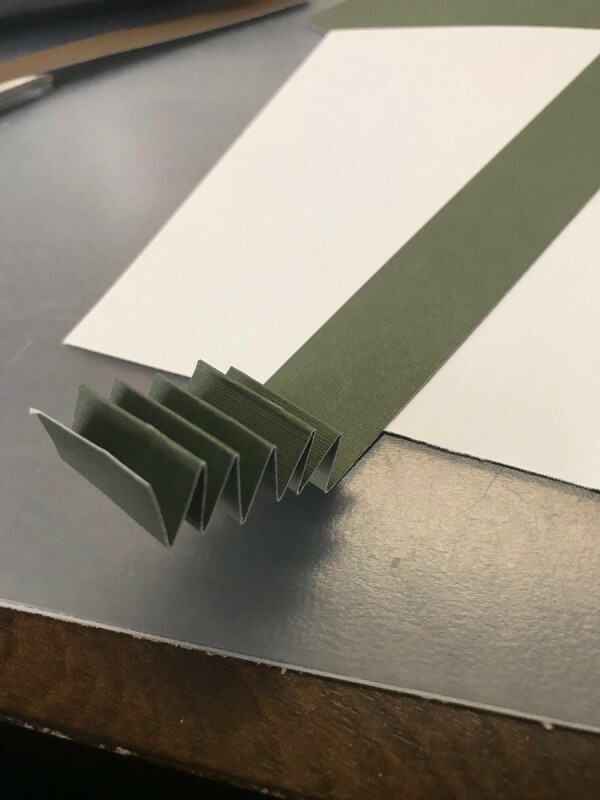 Start to fold all the strips accordion style. 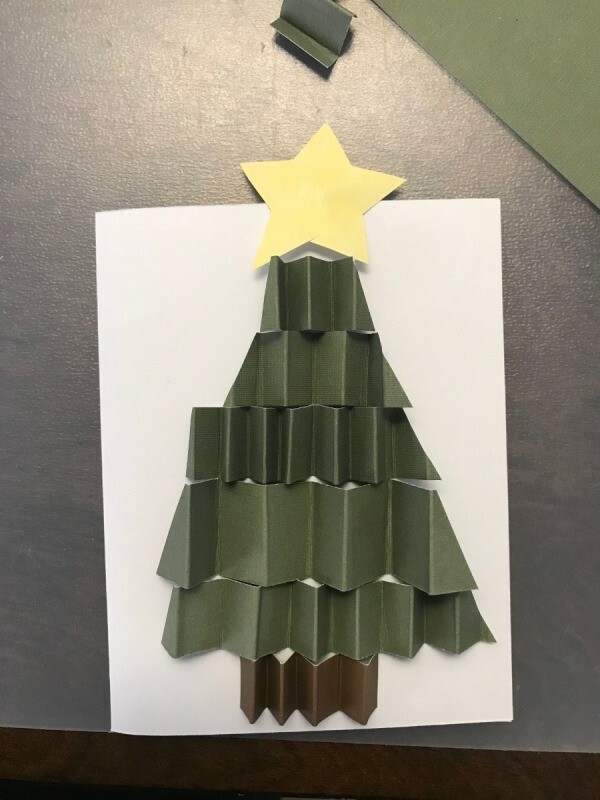 Depending how tall your card is, you can figure out how many strips you need for your tree. 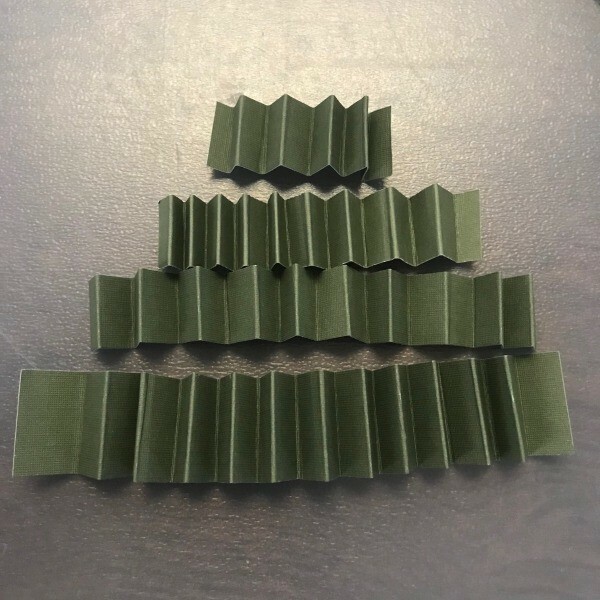 I arranged my strips to see how I wanted my tree to look. 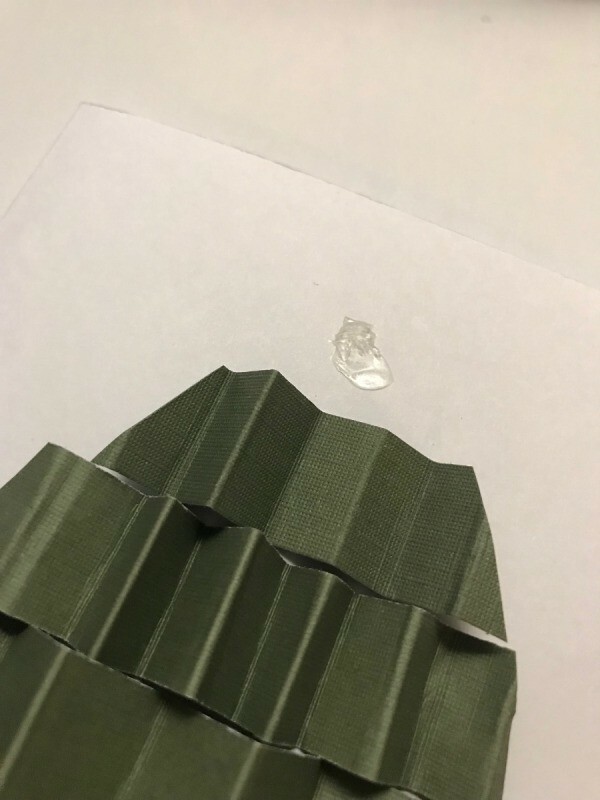 Then I slowly cut at an angle to get a triangle and form my tree. Using yellow paper - I freehand cut the star. 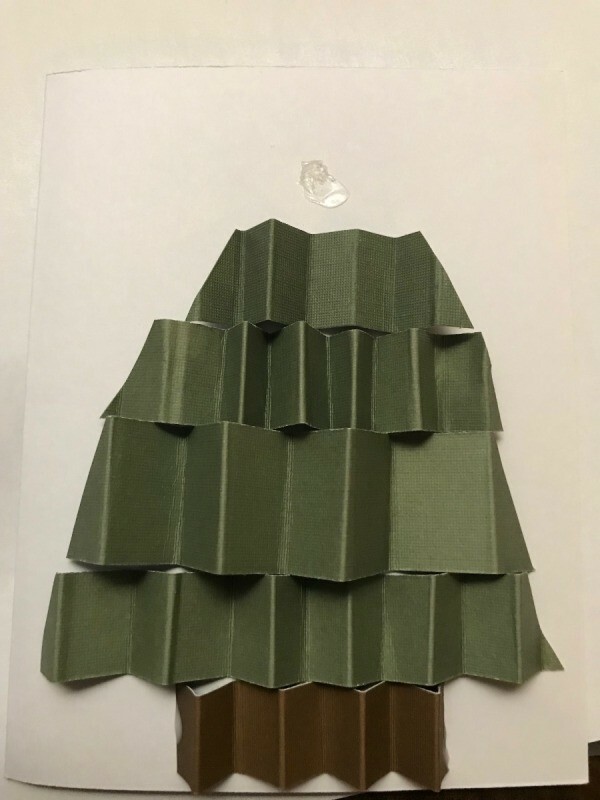 Secure the tree to the card. 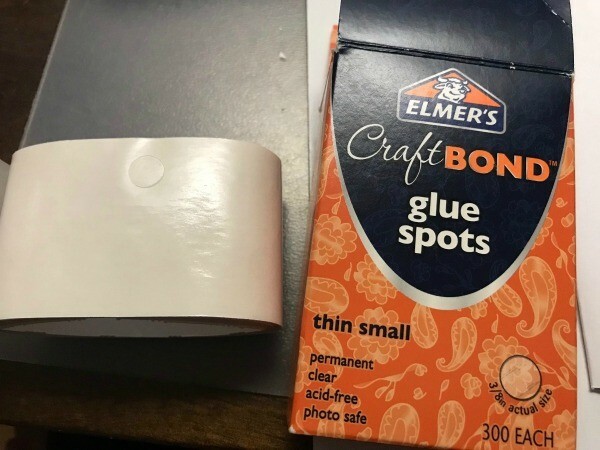 I found that double sided tape or Elmer's Craft Bond glue spots worked easily. Optional: You can spice up your card by adding pom poms as ornaments, or use ribbon. Now you are ready to write in your card and you can freehand Merry Christmas or Happy Holidays on the front for a personalized touch.